All of them are adorable!!!! I don't have a heart to eat them! too cute!! ^_^ you're the best! 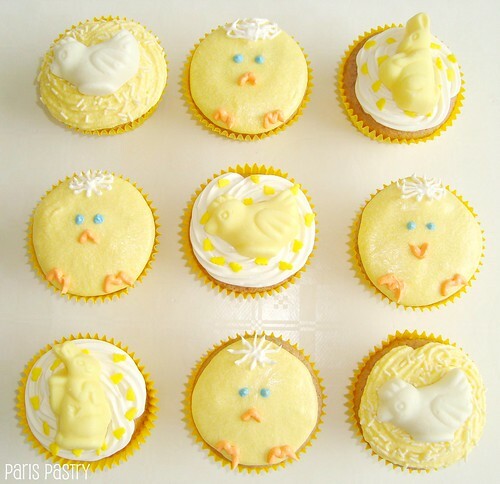 The Easter chicks and nests are so adorable! BEAUTIFUL! BEAUTIFUL! BEAUTIFUL! It's ART! Danielle these are lovely. The bunnies are gorgeous! Oh my goodness! 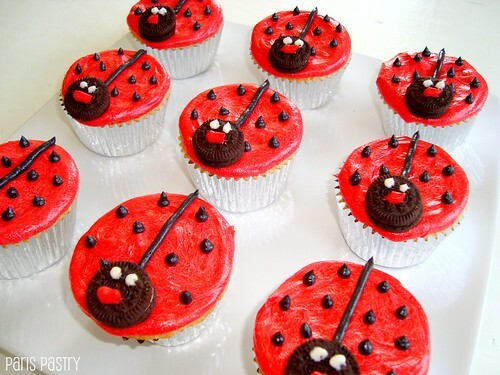 What gorgeous creations! I love them all so much. 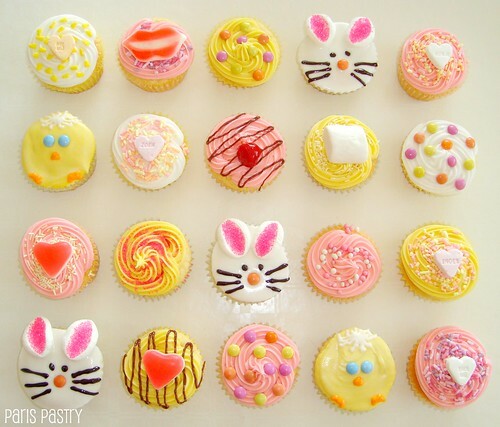 Particularly the bunny cupcakes!! 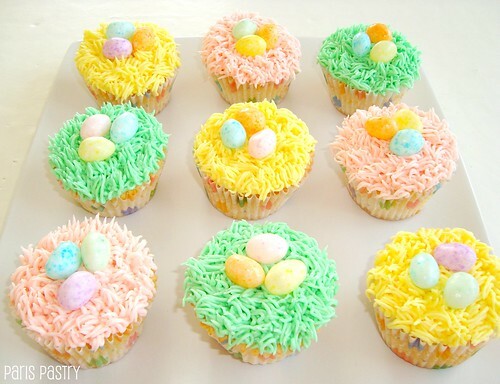 Delightful cupcakes I like the little nests with eggs -pretty!! 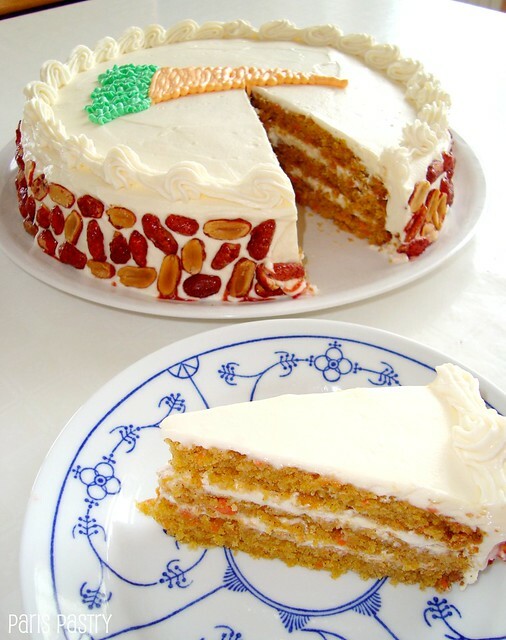 Can I have a slice of that carrot cake pleeease? 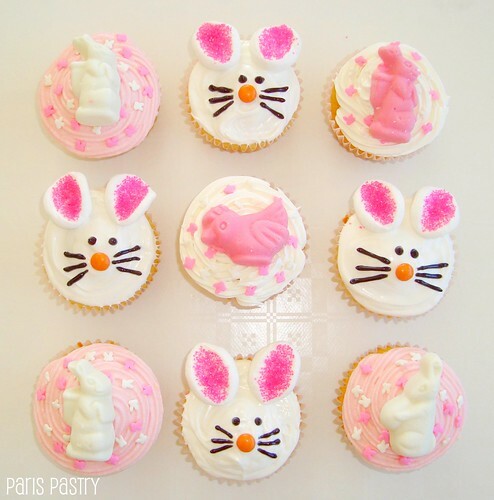 You definitely rock the Easter cupcake designs Danielle! I love the pastel colours you use. I still love the bunnies ;) they are my favorite.